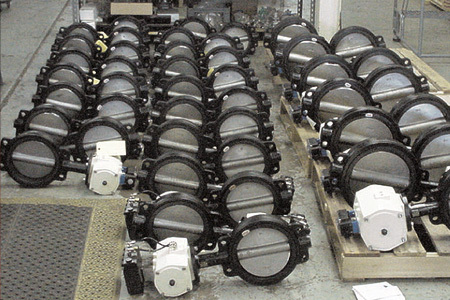 A chemical company in Singapore needed 44 butterfly valves to ship in under a week to open their plant on time. Assured Automation’s fast delivery shipped the assembled automated butterfly valves within 6 days after receiving the order. This entry was posted in Custom Projects and tagged Actuated Butterfly Valves, Butterfly Valves, Fast Shipping. Bookmark the permalink.